Home » Knee » Baker’s Cysts – What Are They? Baker’s cysts are notorious for causing confusion, distress, and uncertainty. Unfortunately, those feelings can be the doctor’s sometimes, not the patient. But the problem is easily identifiable and can be taken care of with the right treatment. They are extremely common and most commonly cause swelling and tightness in the back of the knee. They usually do not cause pain which is more commonly associated with either arthritis or a meniscal tear. What are they? First, let me describe the anatomy. 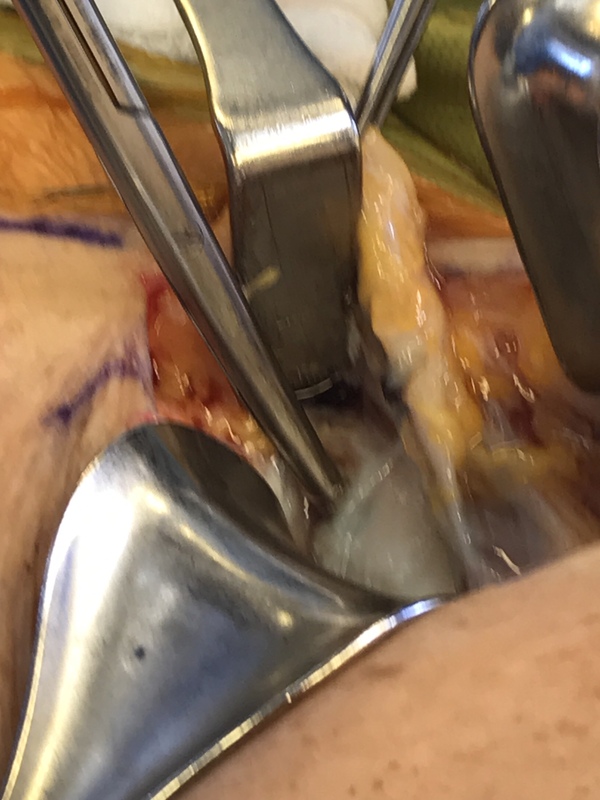 The knee joint is surrounded by a capsule or a balloon holding everything together. If someone develops swelling in their knee joint, then the joint or balloon can stretch and get bigger like a water balloon. Imagine the joint getting so swollen that it develops a hernia and a small opening allows fluid to escape. This usually occurs in the back of the knee right next to the hamstrings and calf. 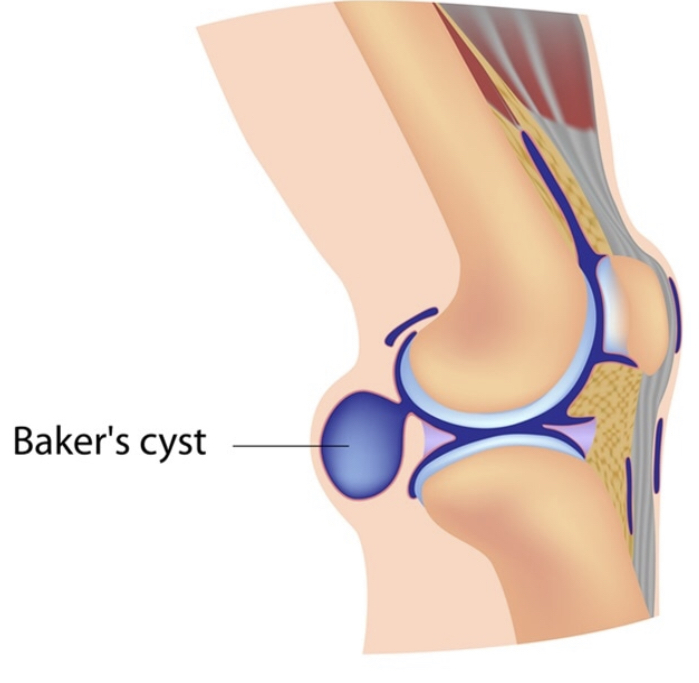 The outpouching or swelling is called a cyst and has been given the name Baker’s cyst by Dr. Baker. So how do you treat the cyst? They can be aspirated but can often recur. This happens because the real problem has not been fixed which is the swelling in the knee and the opening in the back of the joint. It is analogous to filling up a sink with the faucet and then draining the sink while the faucet is still running. So the real solution is to stop the faucet from running or close the drain. 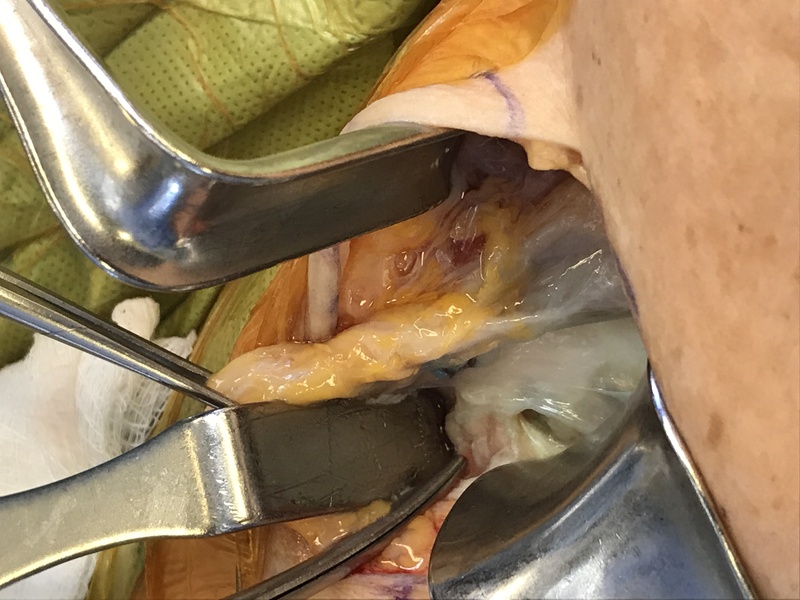 If a meniscal tear is causing the knee to swell, then arthroscopy can be helpful in decreasing the pain from the meniscus tear and decreasing the swelling caused by the irritation of the meniscus tear. If arthritis in the knee is causing the swelling then a cortisone injection is sometimes very helpful at decreasing inflammation. PRP injection may also decrease the swelling in the knee enough to help. Squatting with a cyst gives a pressure sensation in the back of the knee. Pain is usually from something inside the knee whereas pressure is from the cyst. If nothing helps and the tightness in the back of the knee persists, then excision of the cyst can be considered. The process involves dissecting down to the knee capsule and then sewing up the hole in the capsule. Recovery is relatively easy and involves crutches, physical therapy and allowing about six weeks for the capsule to close. The patient is allowed to bear full weight right away with crutches. Risks would be a recurrence of cyst or infection. Benefits would be taking away the cyst and relieving the pressure felt in the back of the knee. Below are pictures of the cyst at surgery and what the cyst looks like. 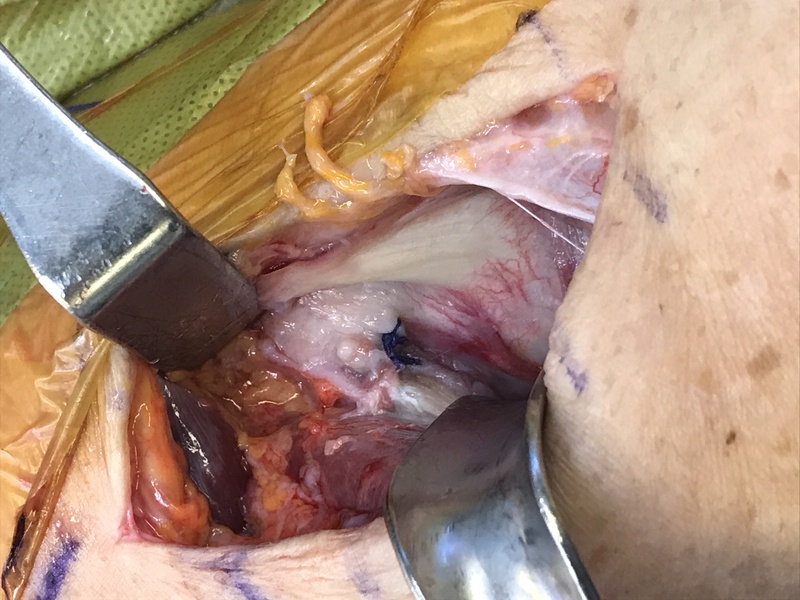 I inject the knee with a blue dye which then leaks into the cyst and outlines the cyst during dissection. This helps to separate the cyst from normal tissue. 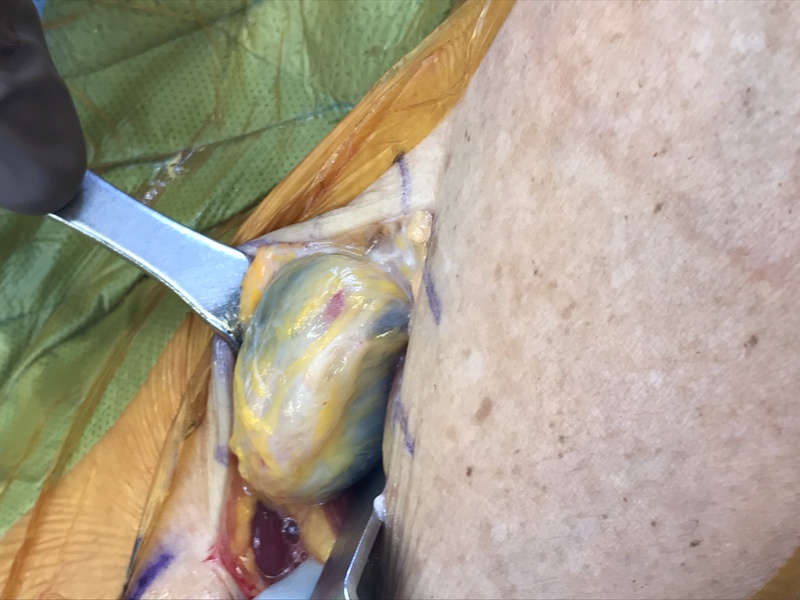 The following pictures show the cyst with dye in it, the opening in the capsule in the back of the knee, and the closure of the capsule. It can be on the medial side which is more common than directly in the middle. 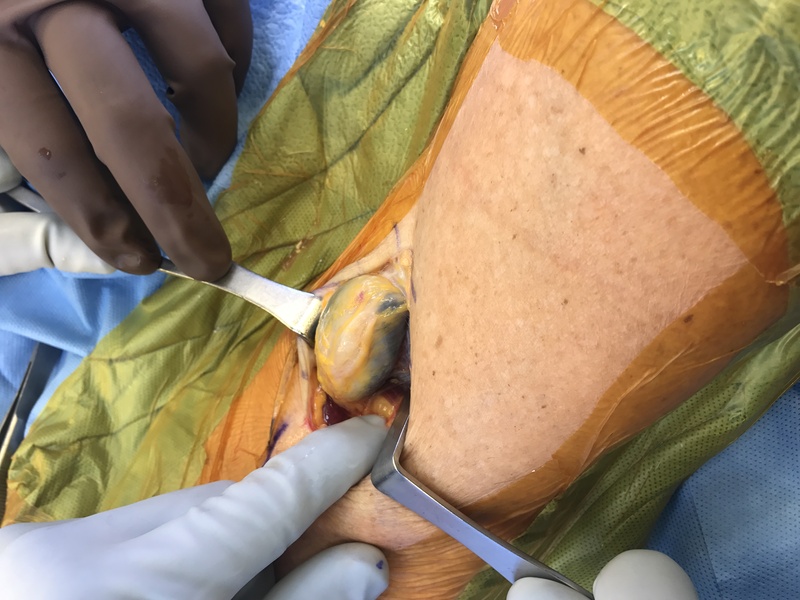 Is a Bakers cyst always in the middle behind the knee? I’m asking because mine, that is if it is a Bakers cyst is more medially.